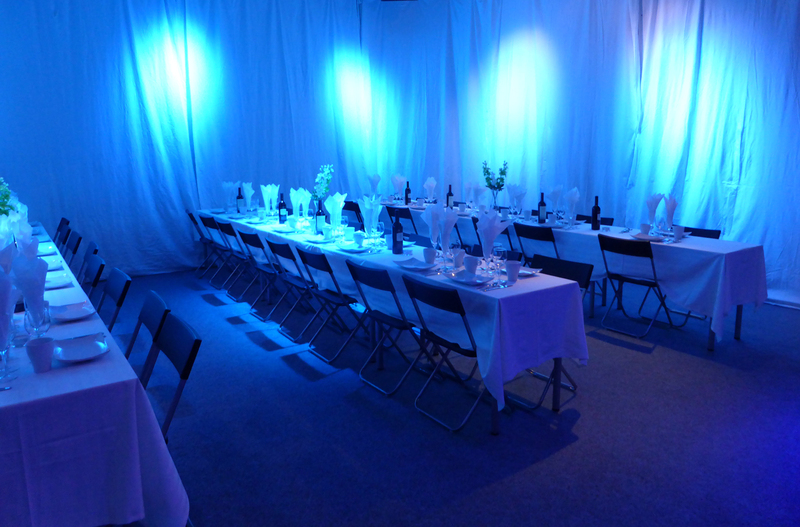 Our eventrooms are unique and designed by ourselves. Inspired by different topics, the decoration, setting and activities fit perfectly together and provides you a special venue for your event. 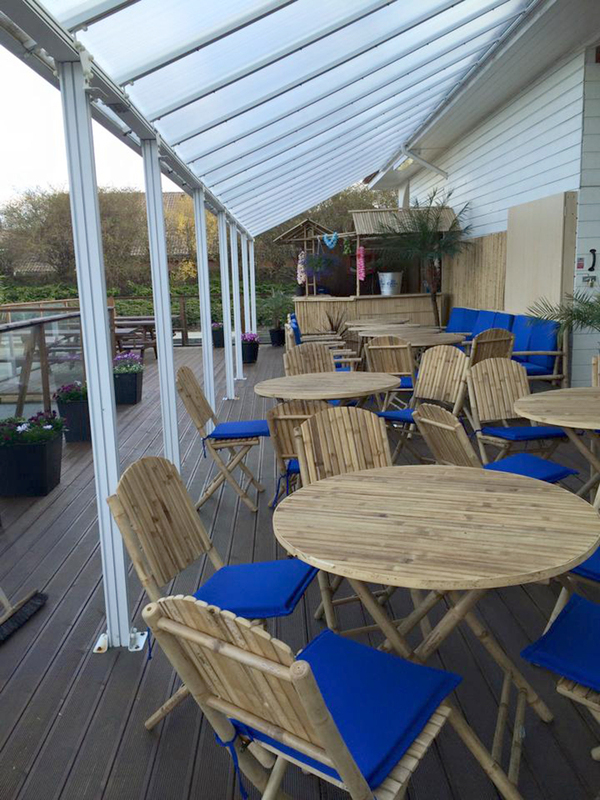 Further you can use our free wifi and can directly upload and post your experience. We are always working to improve our location settings in order to not only meet our customers expectations but also to exceed them. 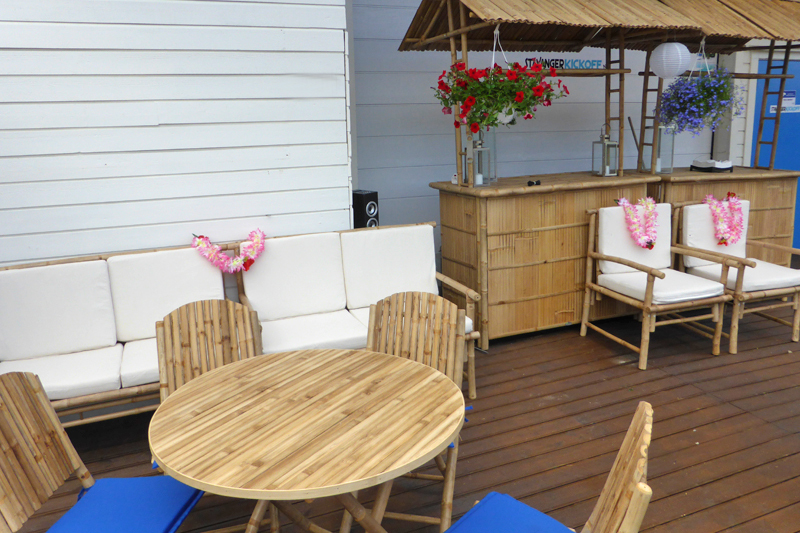 Very special is our outdoor hawaii terasse, where the sun always shines and you can have fun with many great activities. 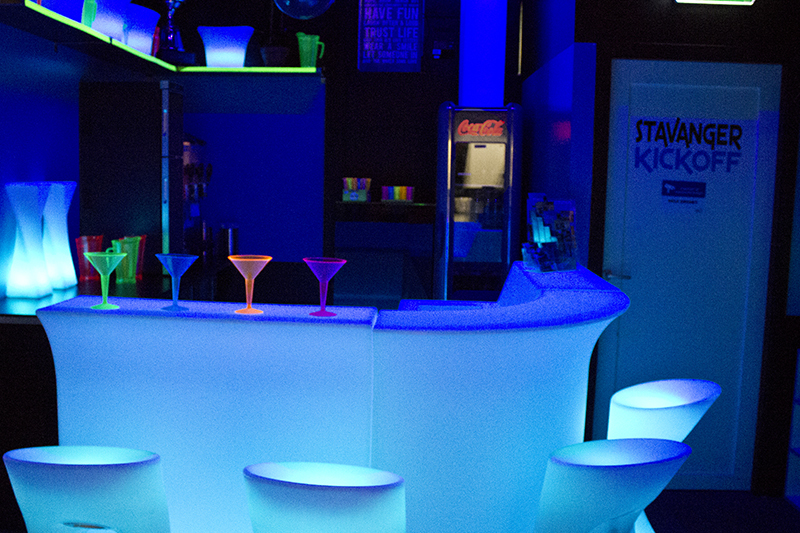 The LED bar fits perfectly into our new blacklight concept with many light and sound effects. 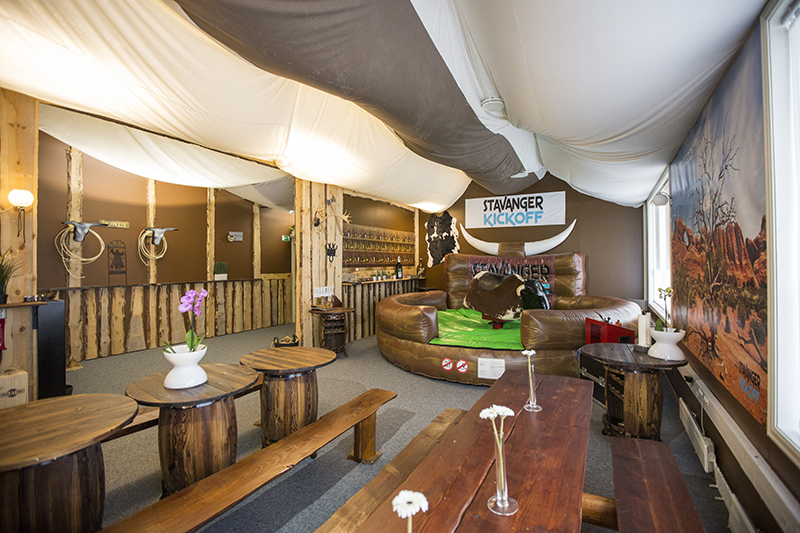 This is the place where guests arrive and start their event at Stavanger Kickoff. 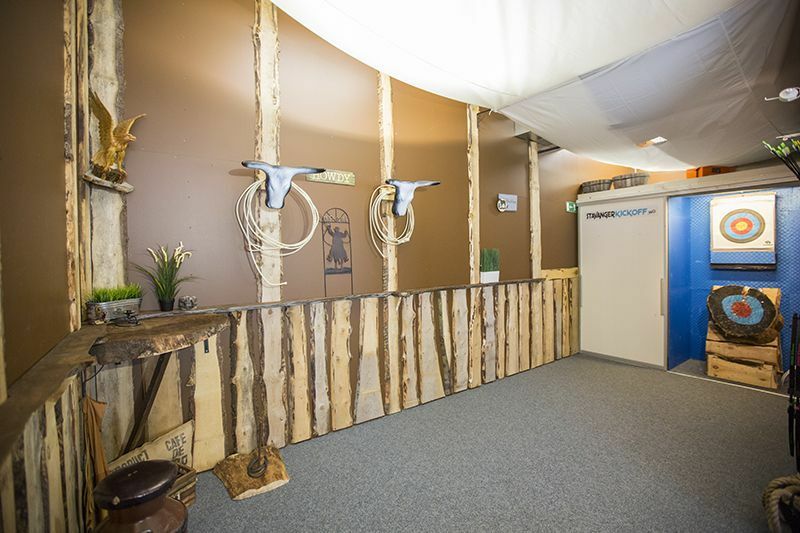 Our WILD WEST SALOON is inspired by deserts, cowboys and country lifestyle. Here you can have more than 10 different activities! Very special are for example the wild west rodeo as well as a linedance show having class with the world champion in linedancing. You can also have food and drinks while the activities take place. Howdy! 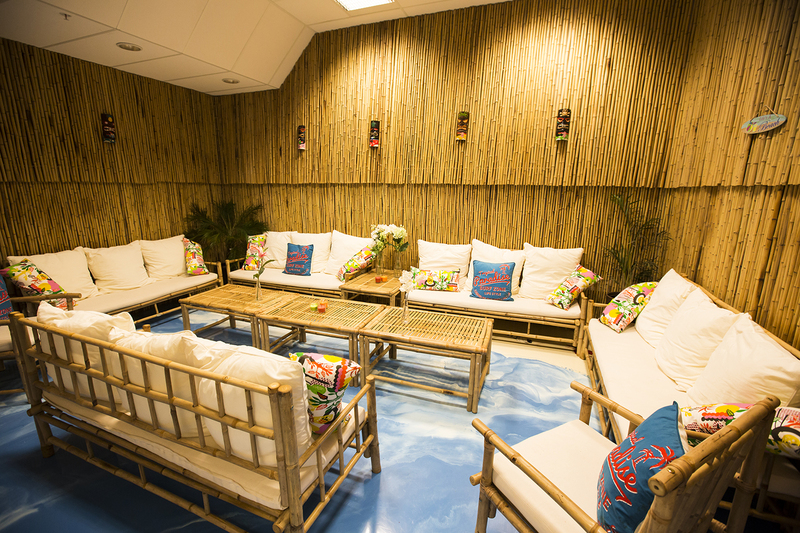 This is a room we are very proud of: The VIP Hawaii Lounge! We got inspired by the surfer lifestyle and the warm sunlight of hawaii. 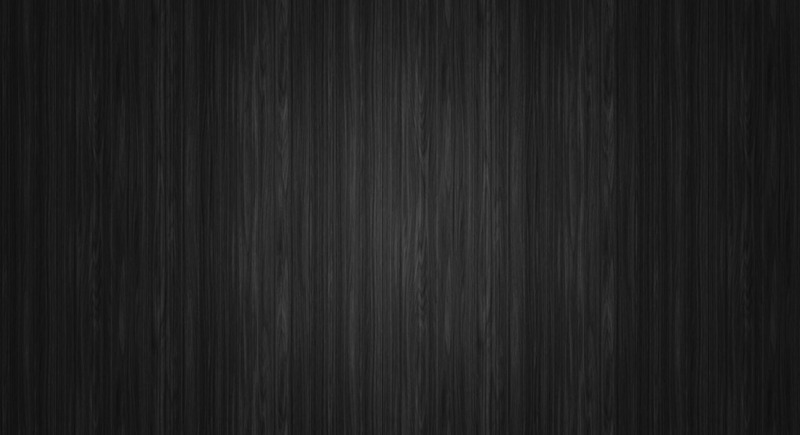 The unique floor looks like a beach and the ocean, your feet are where the waves meet the sand. 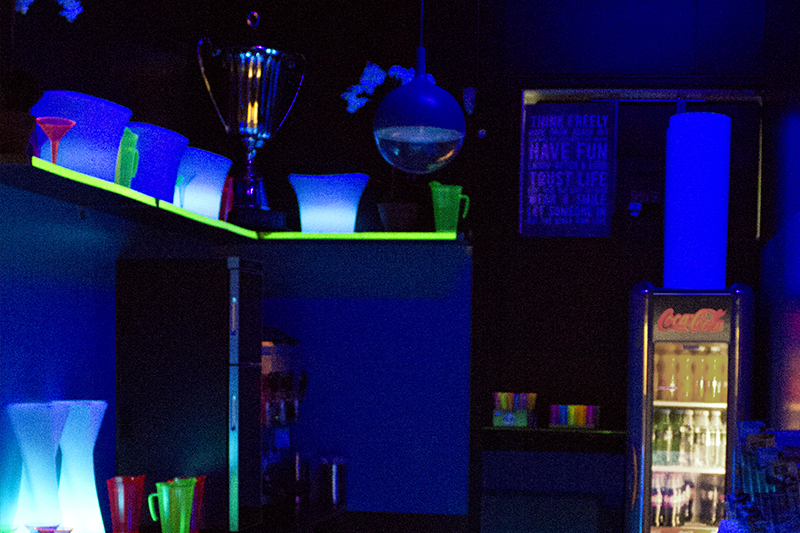 This room is perfect for a nice meeting, small activities and of course food and drinks. 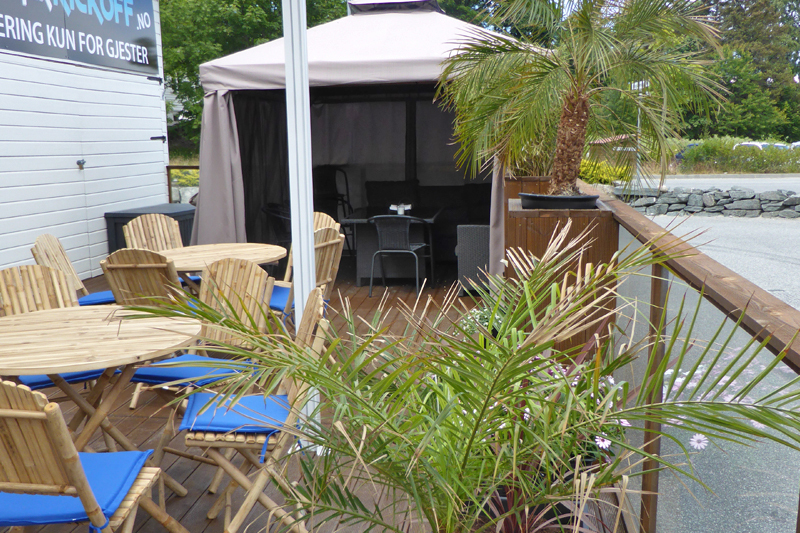 In the hawaii corner is always a good atmosphere with summer and sun all year round. 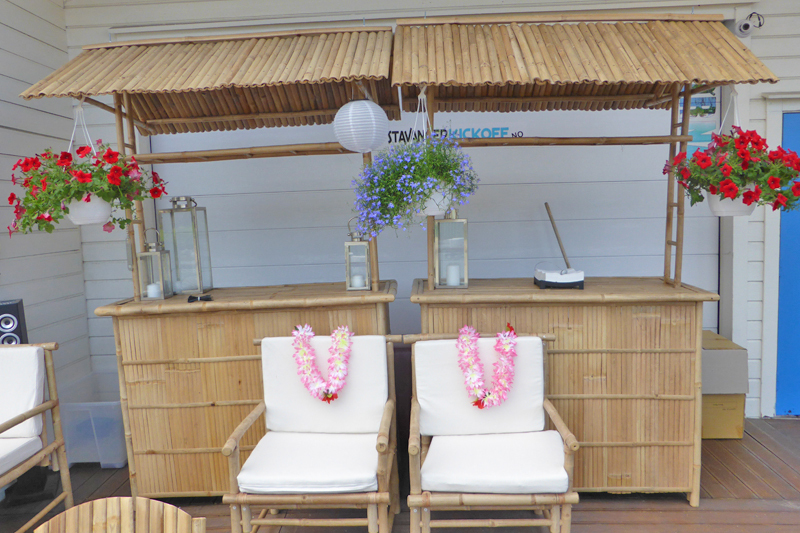 We can offer many great activities with the feeling of hawaii. 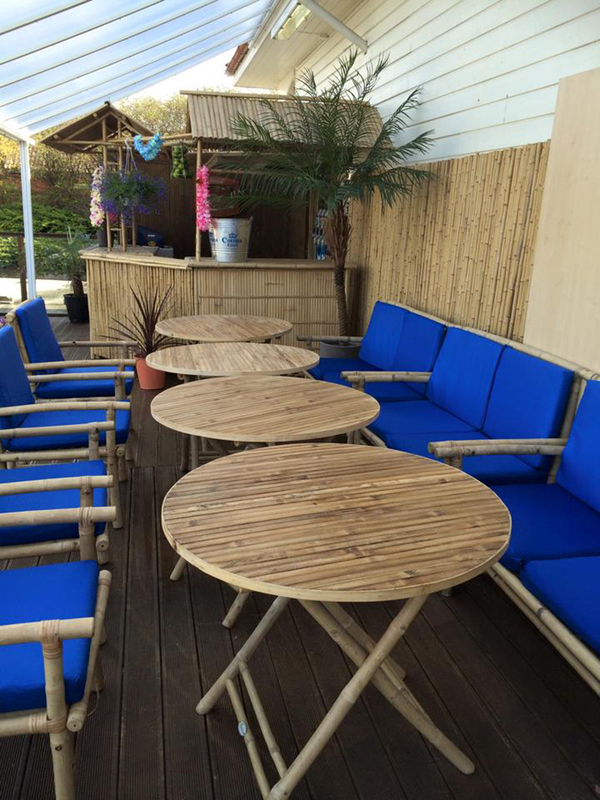 We are proud to finally present you our outside area which fits perfectly to the hawaii topic. 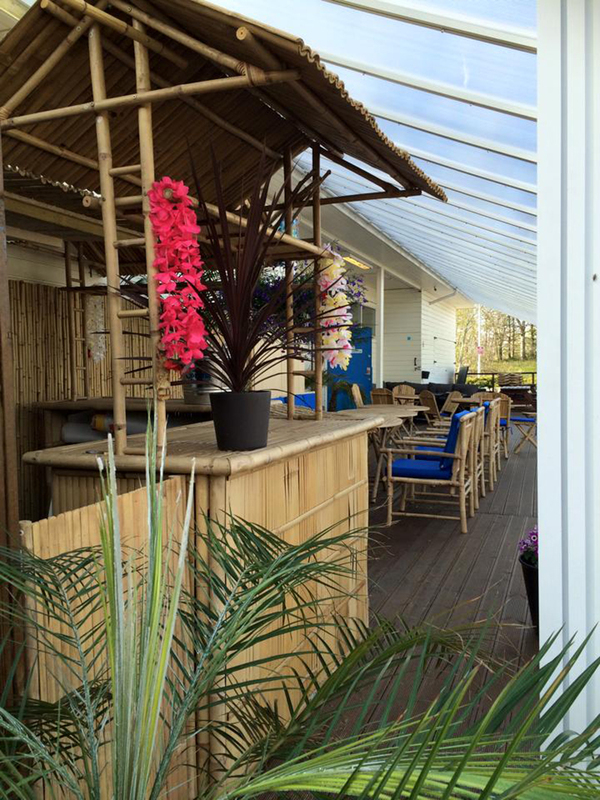 The open air area is 130m2 big and offers a lot of space for getting the full experience of the hawaii feeling. 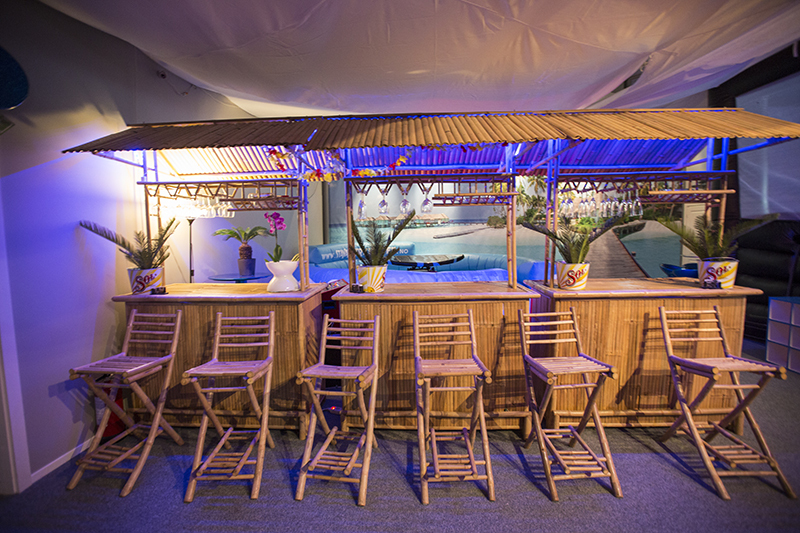 Here you can play football pool and other kind of activities or enjoy your food and drink in cozy bamboo couches. The Multisport Arena is unique: developed by ourselves it brings all sporty activities together which you need for your event. 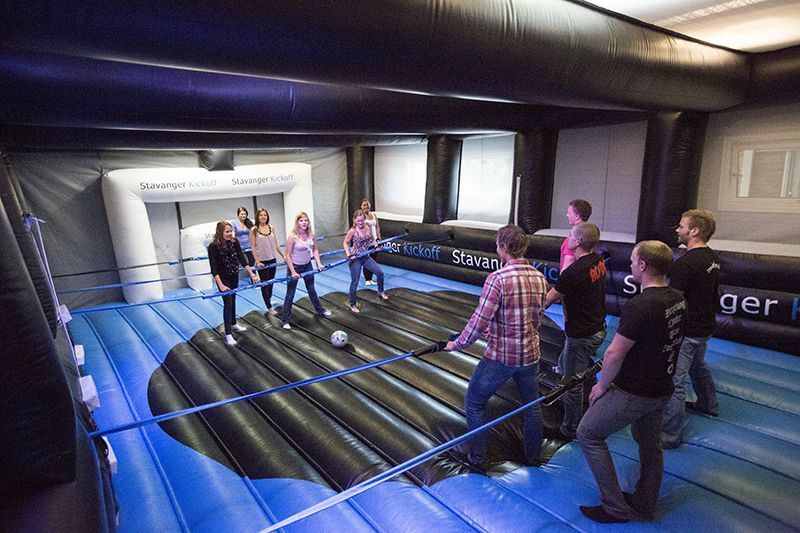 From sumo fight, human table football or promille basketball, here you can play everything! 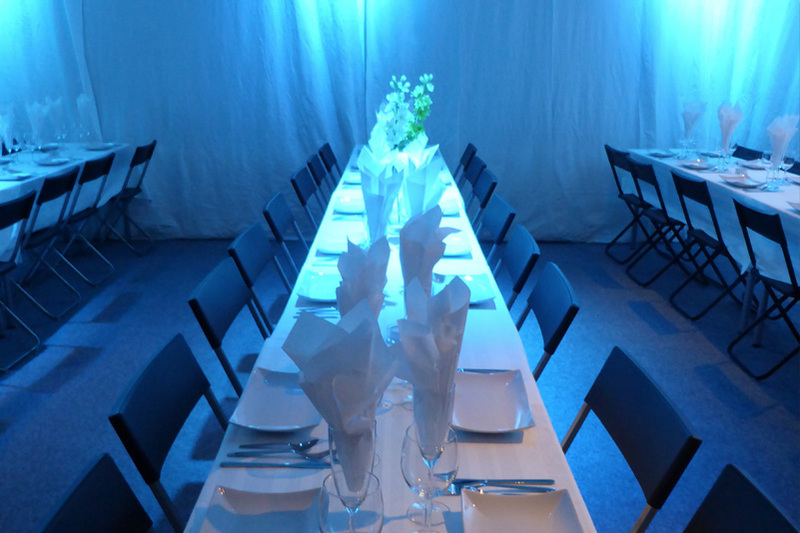 We are able to set up long tables with white sheets and awesome food and drinks just for your party. Seated we can find space for up to 100 persons. If you are more we can also move to our neighbour’s venue. Let the party begin! 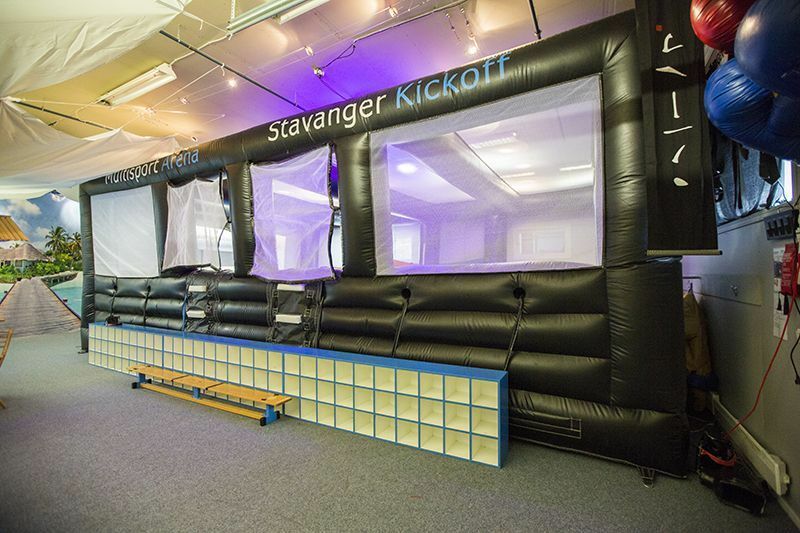 Contact us 466 26 910 or emails post@stavangerkickoff.no. Please send price requests via our form.